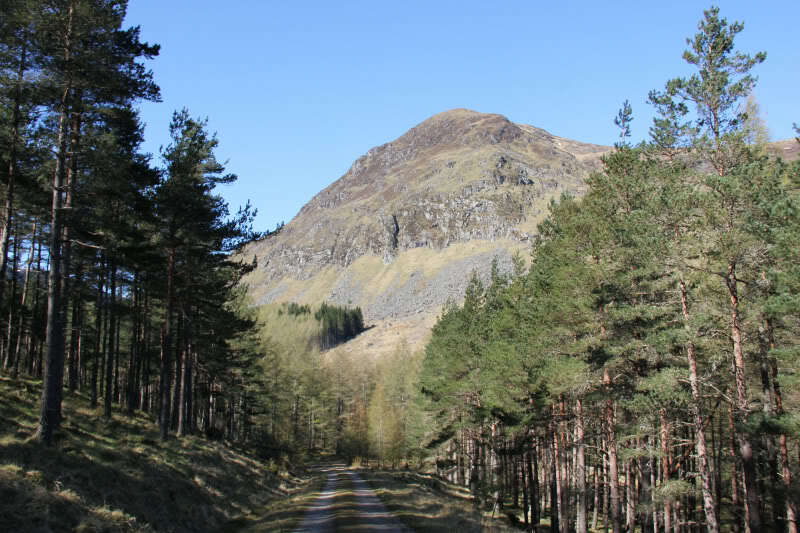 I drove to Glen Doll this morning to ascend Driesh and Mayar. 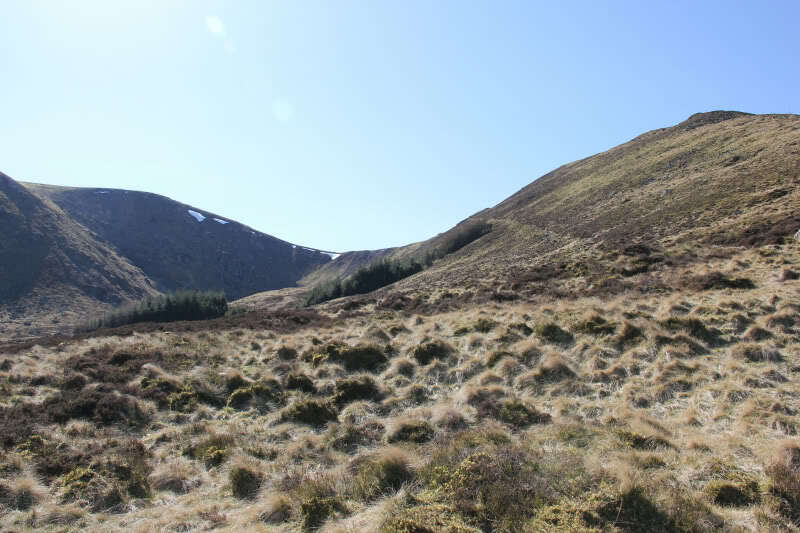 My first and only ascent of these hills was in 1992 – 20 years ago . 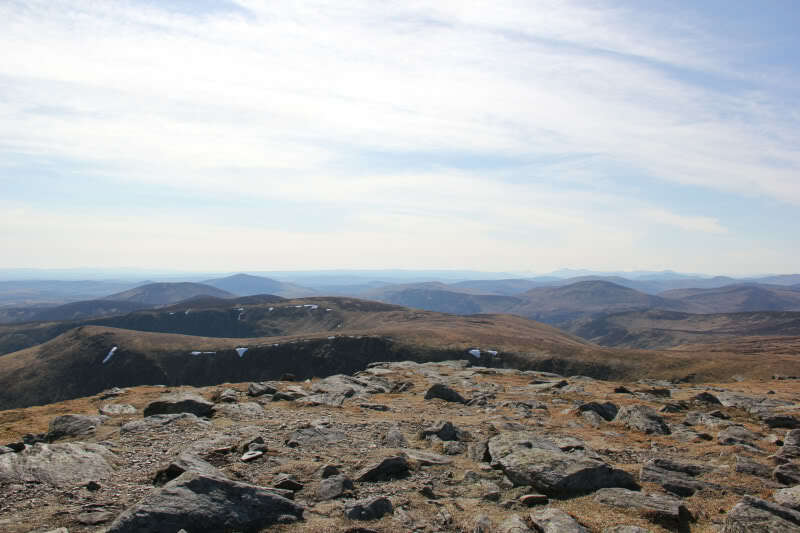 I have climbed all other Munros more recently than Driesh and Mayar. Today, I decided to retrace my steps of 20 years ago by again following the same route. 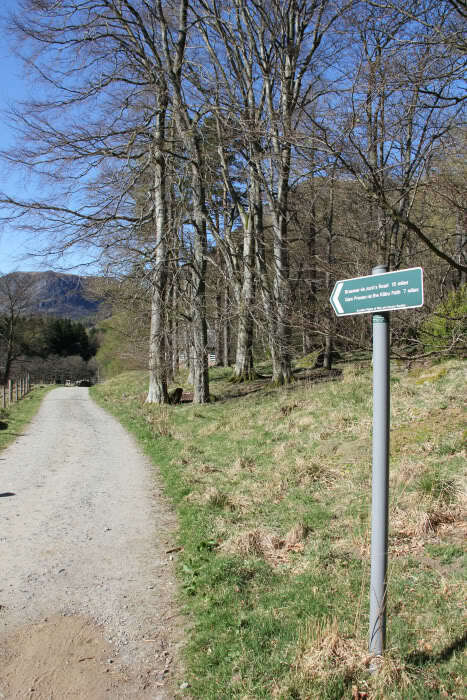 After grudgingly paying £2 to park in the Glen Doll car park, I set off along the track leading to both Braemar, via Jock’s Road, and to Glen Prosen via the Kilbo path. 1) In 1992, when I first ascended Driesh and Mayar. 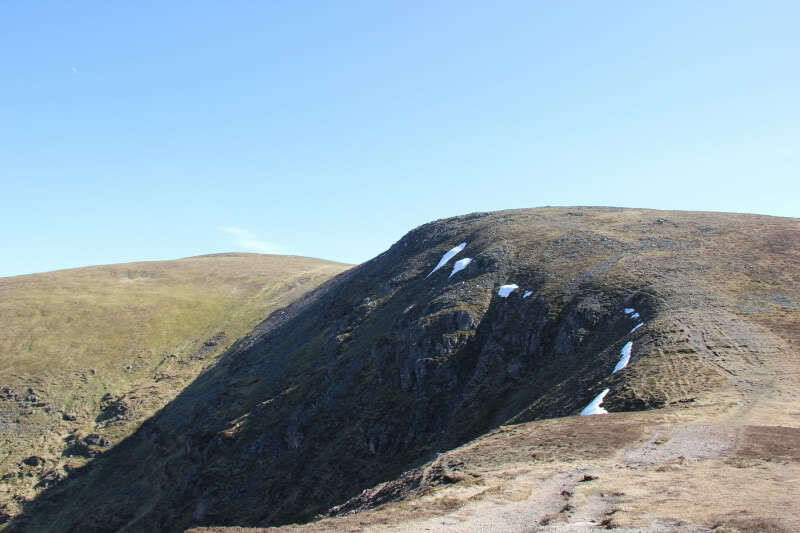 2) In 2001, when I traversed from the Glen Shee road via Glas Maol, Cairn of Claise, Tolmount and Tom Buidhe then descended Jock’s Road to Glen Doll. 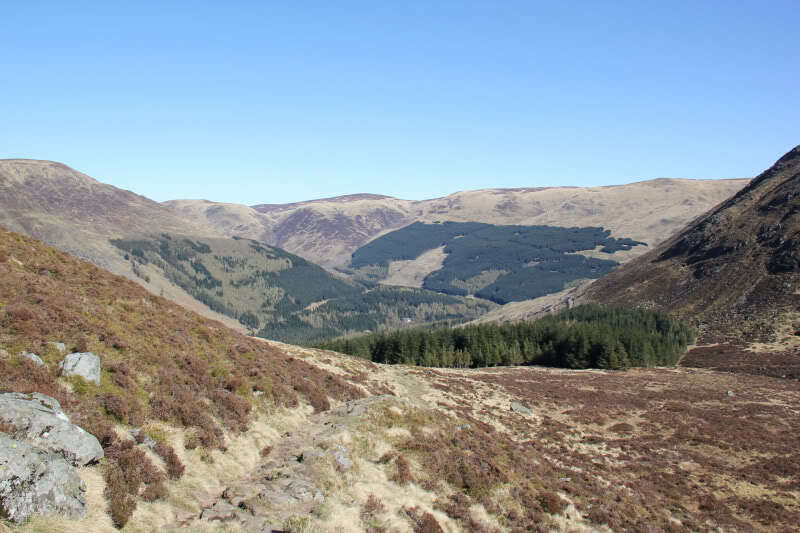 3) In 2003, when I traversed from Glen Doll through to Spittal of Glenmuick, via Broad Cairn. A few hundred metres along the track, I took a left and crossed the bridge over the White Water. 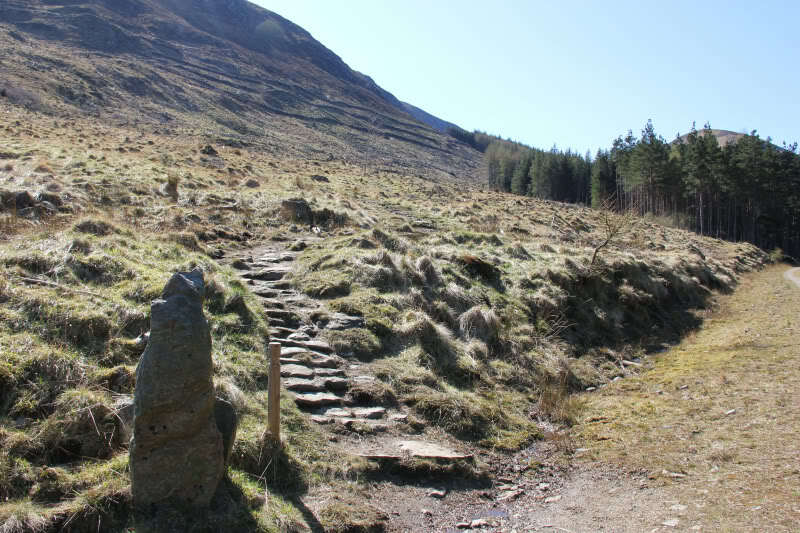 I then continued along the zig-zag track until reaching the start of the path leading to the Shank of Drumfollow. 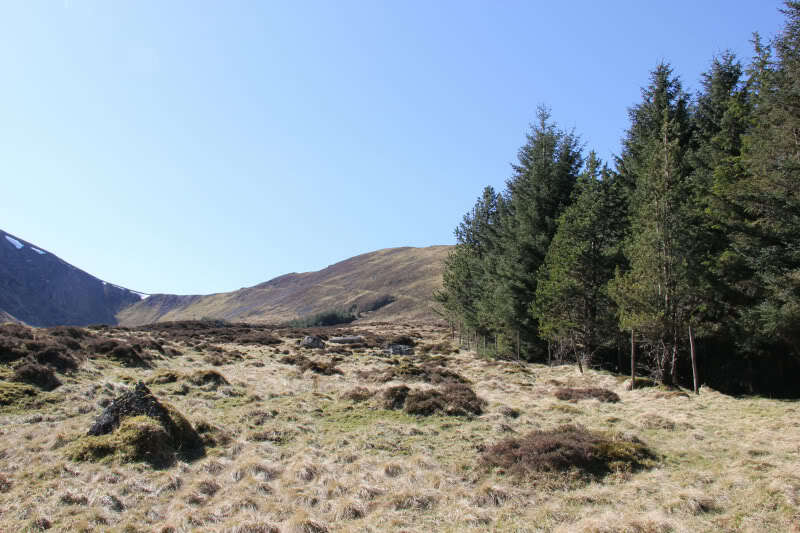 Many trees have been felled since my last ascent of these hills. The path now runs along the edge of the forest instead of through it. 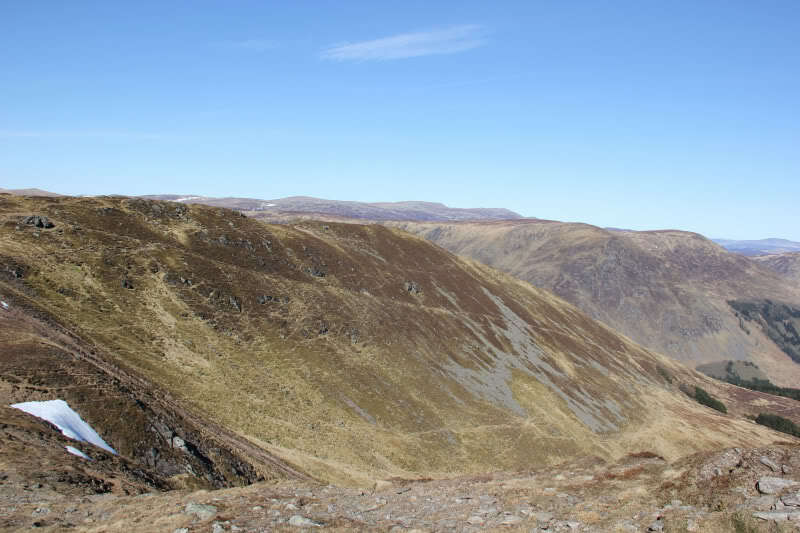 During the ascent of the Shank of Drumfollow, I stopped at every burn to keep Beinn hydrated. 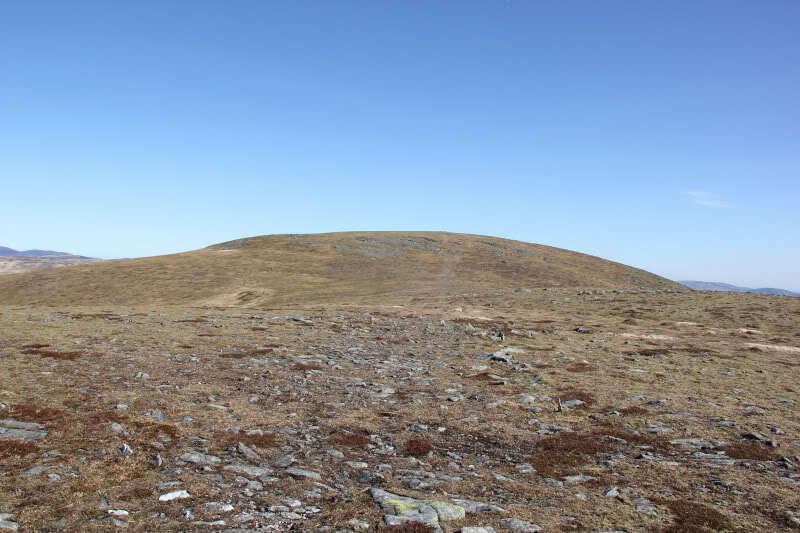 On ascending the Shank of Drumfollow, I stopped to chat with an elderly lady who advised that it was very windy up top – it was certainly a bit breezy. 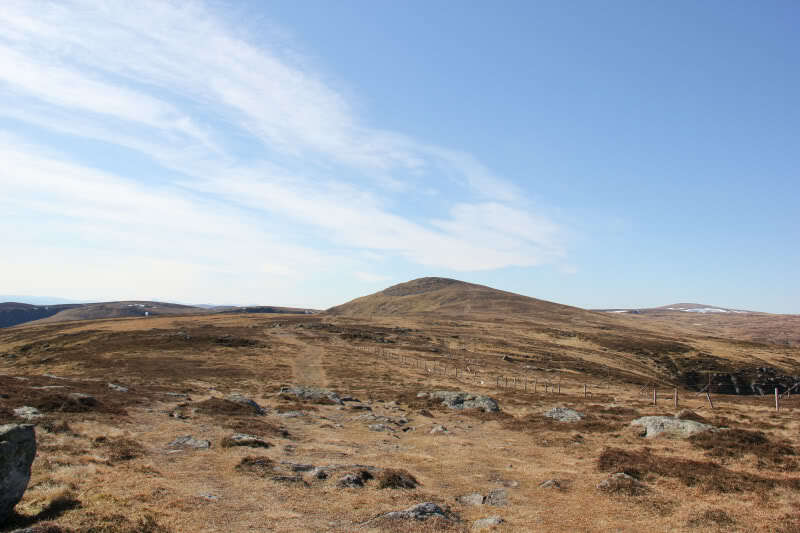 On reaching the col between Mayar and Driesh, I decided to ascend Driesh first. 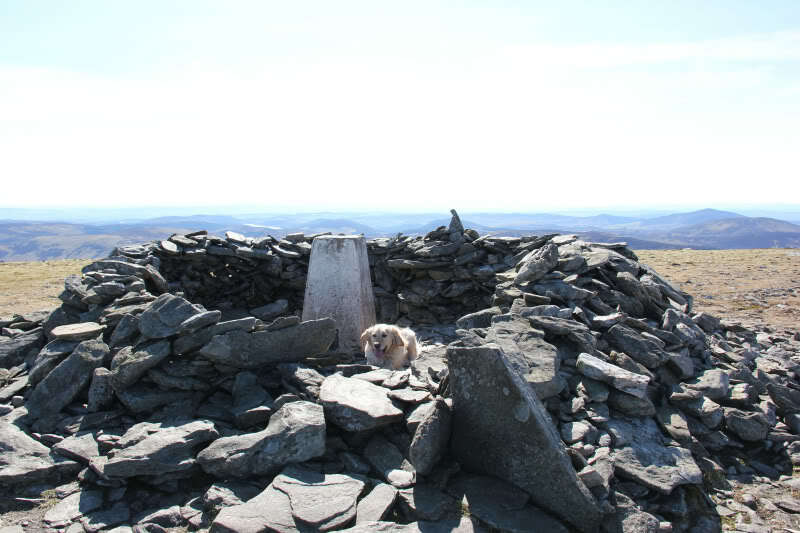 I reached the summit of Driesh about 1Hr 45Mins after setting off. 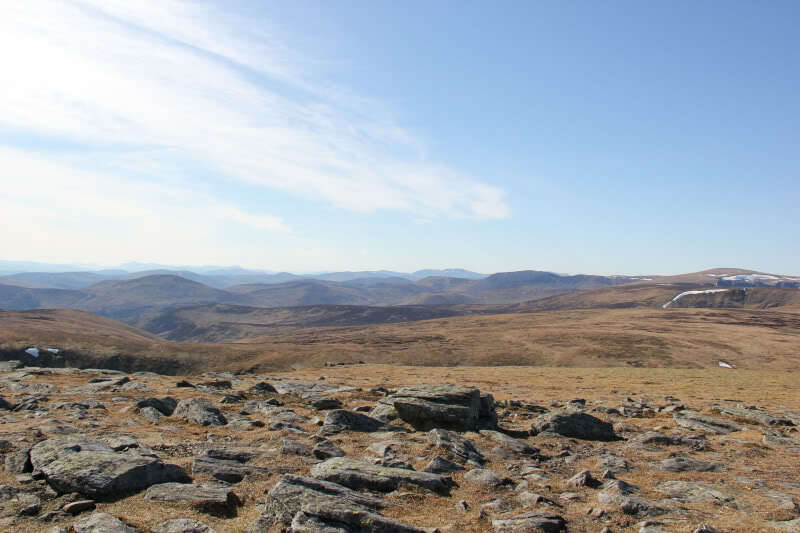 The view from the summit of Driesh was quite good. 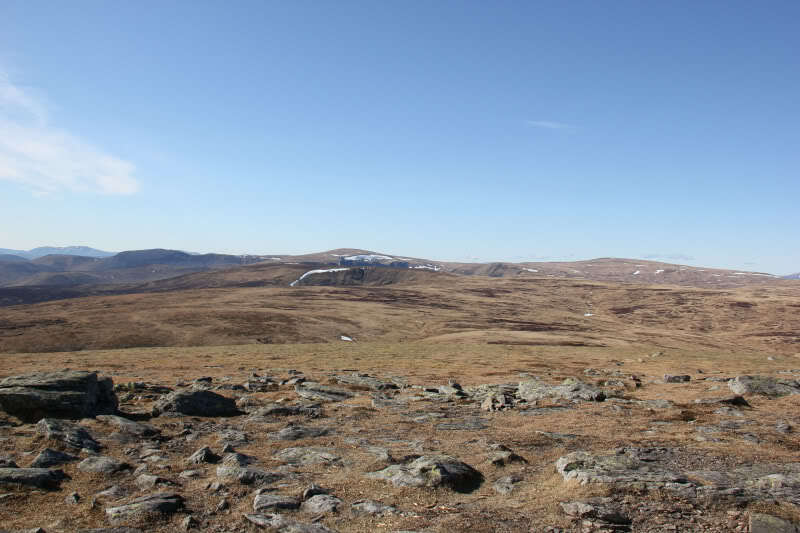 Mount Keen was very prominent as were the Lochnagar hills, Glen Shee hills, Glen Isla hills and even the Ben Lawers range. 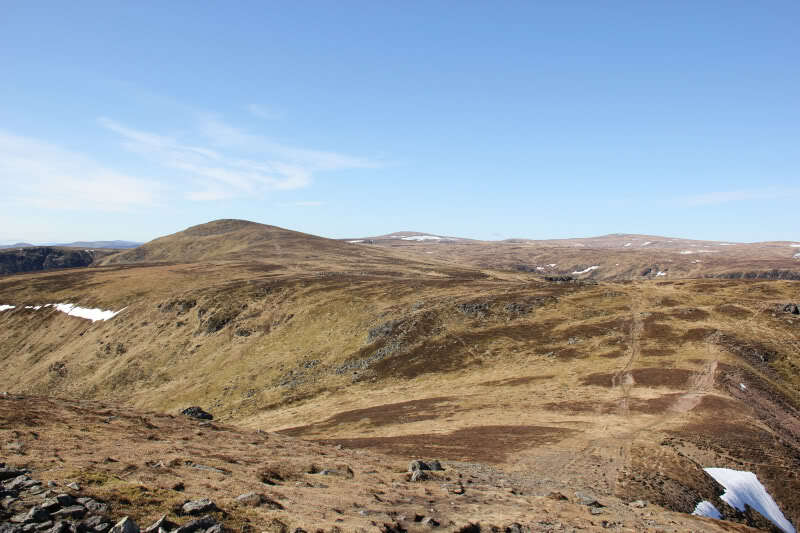 From the summit of Driesh, we returned to the col and then followed the wide, eroded track leading to Mayar. 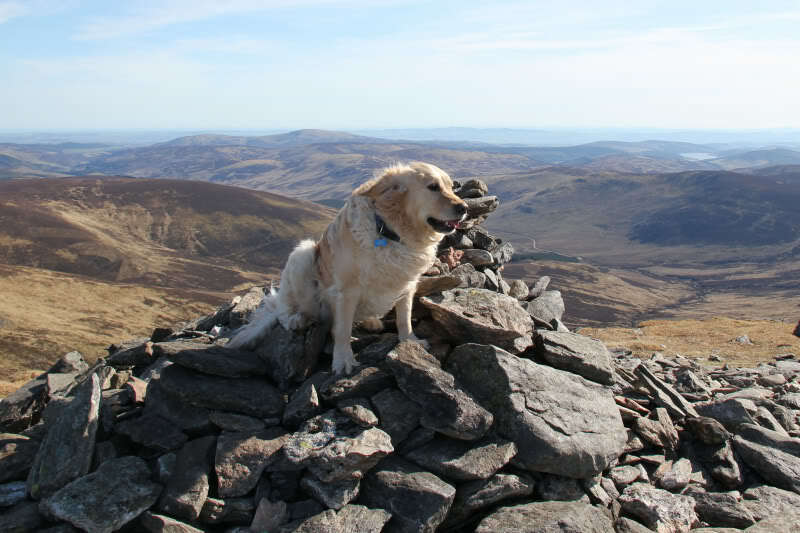 It was fairly windy at the summit – Beinn’s lugs were flapping! I stopped for a chat with a cyclist from Cumbria at the summit. 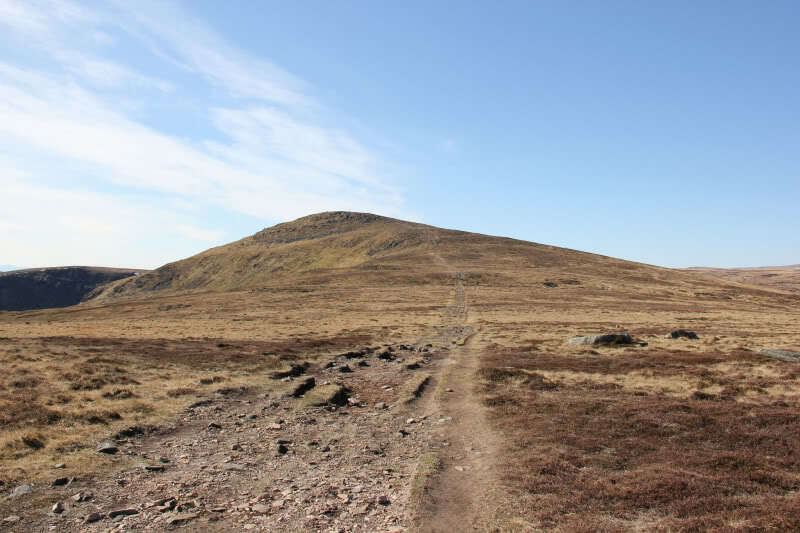 He had taken his bike up the Shank of Drumfollow and also cycled much of the way back down it . 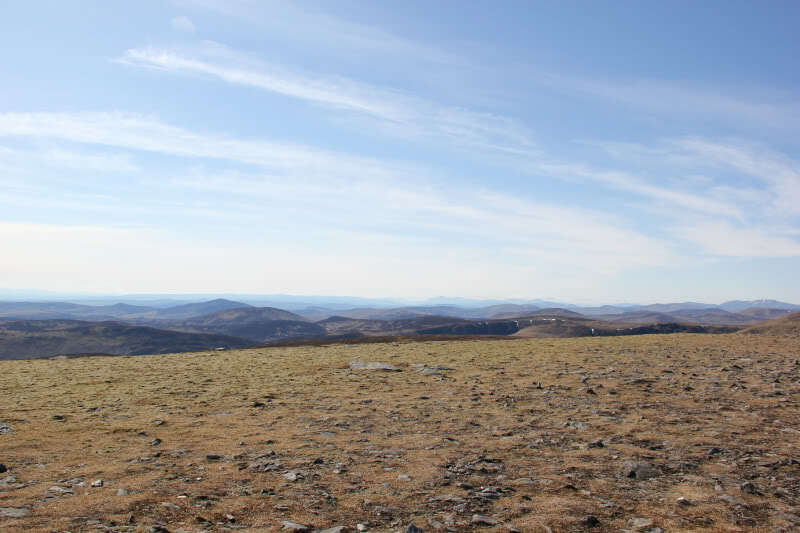 From the summit of Mayar, we returned to the col and then descended via the Shank of Drumfollow back to the car.